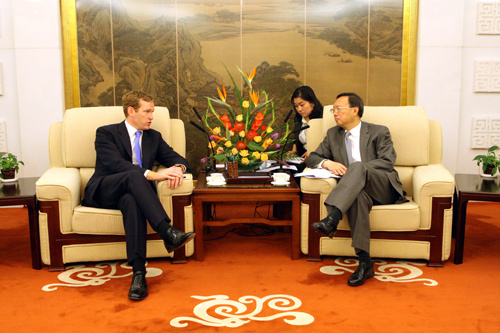 On May 31, 2011, Foreign Minister Yang Jiechi on invitation met with British FCO Minister of State Browne. Yang made positive comments on China-UK relations, emphasizing that both sides should further carry out high-level exchanges. He also introduced China's development prospects using the example of the 12th Five-Year Plan and encouraged the British side to seize the opportunity, deepen pragmatic cooperation and make positive contributions to the development of China-EU relations. Both sides also exchanged views on the European economic situation and other issues of common concern.